An earthquake with a magnitude of M = 7.0 earthquake struck today in New Britain, Papua New Guinea. New Britain is an island northeast of the Island of Papua New Guinea and Australia. While the earthquake struck on a subduction zone, the Pacific Tsunami Warning Center states that there is no tsunami threat. Hundreds of millions of people globally live along plate margins called subduction zones. These plate boundaries are formed as the result of millions of years of plate convergence. Earthquakes that occur along subduction zone megathrust faults are compressional earthquakes (aka thrust or reverse). Earthquake size is related to the material properties of the earth surrounding the slipped fault, the size of the fault that slipped (the area), and the amount that the fault slipped (distance). Earthquakes occur in specific depth ranges depending upon the conditions. Typical plate boundary earthquakes due to brittle failure along a fault extend to several tens of kilometers into the Earth. Because subduction zone megathrust faults dip into the earth at an angle, the fault area that can slip can be larger than for strike-slip faults. Megathrust earthquakes can therefore have magnitudes larger than strike-slip (shear) earthquakes. Do you live along a subduction zone or other plate boundary fault? What about another kind of fault? To learn more about your exposure to these hazards, visit http://www.temblor.net. 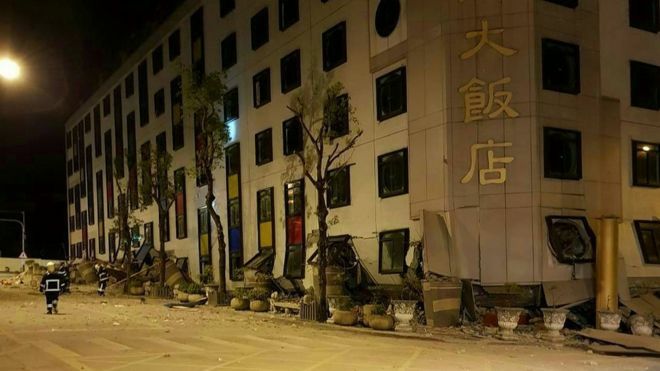 Several governments and non-governmental organizations prepare estimates of seismic hazard so that people can ensure their building codes are designed to mitigate these hazards. The Global Earthquake Model (GEM) is an example of our efforts to estimate seismic hazards on a global scale. Temblor.net uses the Global Earth Activity Rate (GEAR) model to provide estimates of seismic hazard at a global to local scale (Bird et al., 2015). GEAR blends quakes during the past 41 years with strain of the Earth’s crust as measured using Global Positioning System (GPS) observations. Below is a map prepared using the temblor.net app. Seismicity from the past month, week, and day are shown as colored circles. The rainbow color scale represents the chance of a given earthquake magnitude, for a given location, within the lifetime of a person (technically, it is the magnitude with a 1% chance per year of occurring within 100 km). 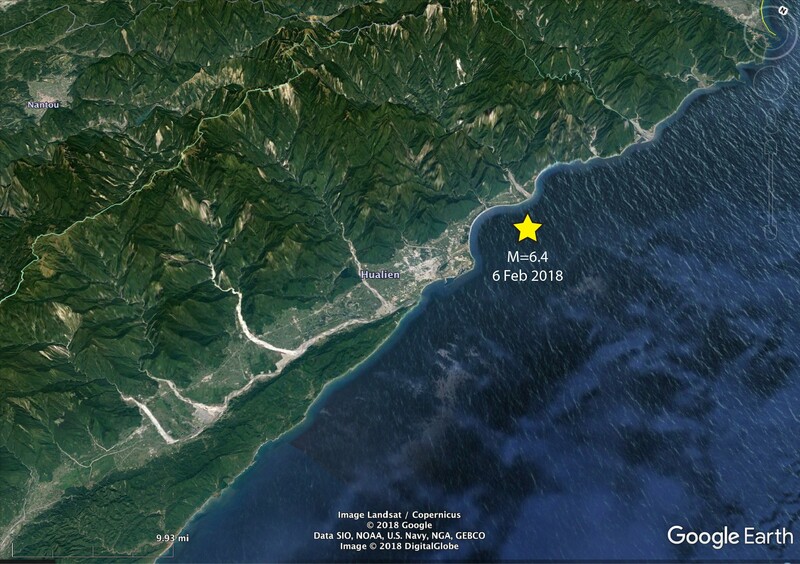 The temblor app suggests that this region could have an earthquake of M=7.9 in a typical lifetime, and so the M=7.0 was by no means rare or unexpected. There was a magnitude M = 5.9 earthquake just 12 minutes before the M 7.0 earthquake, and so, in retrospect, we might consider the M = 5.9 a ‘foreshock’ to the much larger M = 7.0 earthquake. This happens only about 5-10% of the time, which means that foreshocks are a poor predictor of mainshocks. Global Earthquake Activity Rate map for this region of the western equatorial Pacific. Faults are shown as red lines and the megathrust faults are shown as pink regions because they dip into the earth at an angle. Warmer colors represent regions that are more likely to experience a larger earthquake than the regions with cooler colors. Seismicity from the past is shown and the location of the M 7.0 earthquake is located near the blue teardrop symbol. This area of the world is one of the most active and tortured plate boundaries in the world. There are several subduction zones, oceanic spreading ridges, and transform plate boundary faults that interact to form the island of New Britain, Bougainville Island, and the ocean basins below the Solomon and Bismarck seas. New Britain is part of a magmatic arc (volcanic island) related to the subduction of the Solomon Sea plate beneath the Bismarck Sea plate. Below is a map showing the major plate boundary faults in this region. The Island of New Britain is located in the southern part of the South Bismarck plate. Plate tectonic map from Oregon State University. 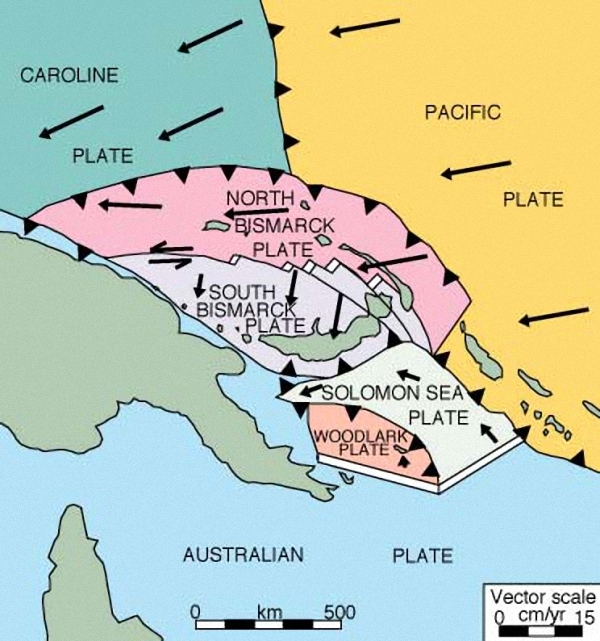 The Solomon Sea plate subducts beneath the South Bismarck plate to the north, the Pacific plate to the east, and the Australia plate to the south. There are oceanic spreading ridges shown as double black lines. Some of these ridges are offset by transform (strike-slip) faults between the South and North Bismarck Sea plates. Earlier this year, there was an earthquake about 20 miles from today’s earthquake. Dr. Stephen Hicks is a postdoctoral research fellow in seismology from the University of Southampton who has been studying the geometry of the subduction zone in associated with the New Britain Trench. Here is his tweet regarding the M = 6.6 earthquake in March 2018. This was a foreshock to an M = 6.9 earthquake a few days later. Below are the two panels that show earthquake epicenters on the left and earthquake in cross-section on the right. The location for the M = 6.6 is shown as an orange star on the cross section and a yellow star on the map. We have added the location of the M = 6.9 earthquake using the same color scheme. We also added the location for the M = 7.0 earthquake from today as a blue star. Seismicity map and cross section (modified from Dr. Hicks, 2018). Epicenters are shown on the map, with the earthquakes selected for the cross section is outlined as a dashed rectangle labelled A-A’. Hypocenters along cross section A-A’ are shown relative to distance from the trench axis. 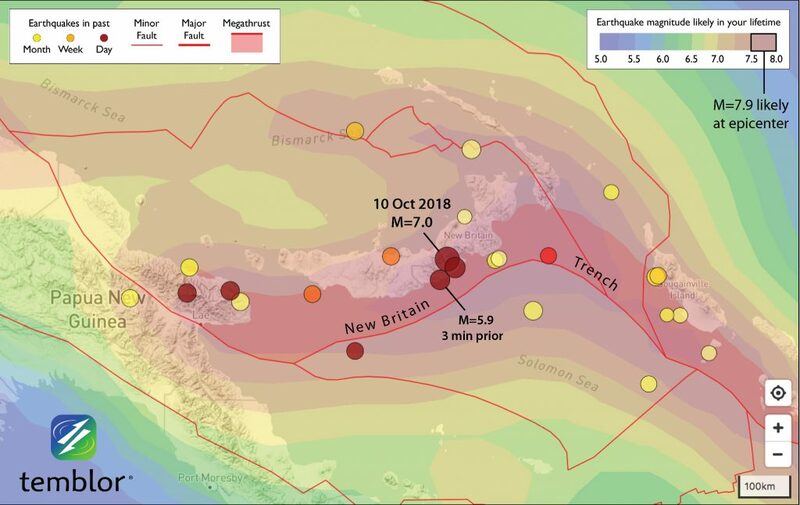 A subduction zone megathrust earthquake with a magnitude M = 7.0 happened along one of the most seismically active subduction zones, the New Britain Trench. The magnitude and depth are the probable reasons that the Pacific Tsunami Warning Center announced that there is no tsunami threat from this earthquake, locally or globally. There was a M = 5.9 foreshock several minutes prior to the mainshock. This subduction zone has a potential for a larger earthquake. Hamilton, W., 1979, Tectonics of the Indonesian region: U.S. Geological Survey Prof. Paper 1078. More can be found about the seismotectonics of this region here. At 4:34 p.m. local time, a M=5.6 earthquake struck Ecuador’s southern border with Peru. 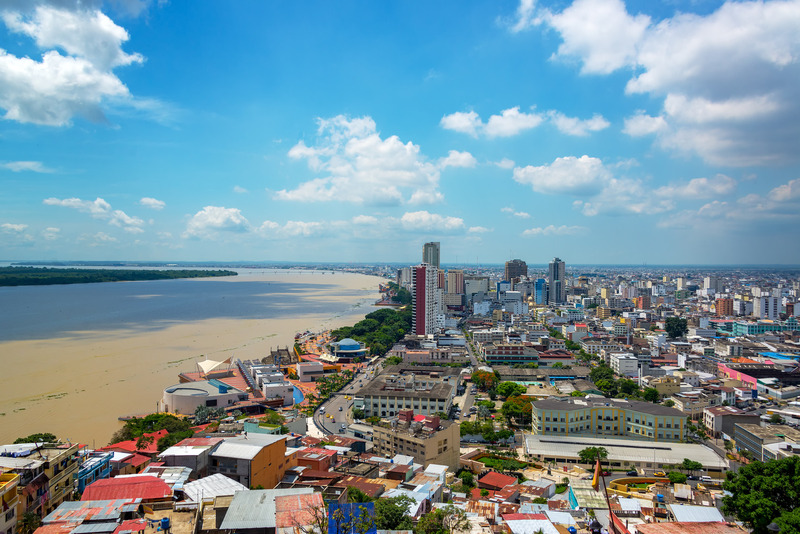 While this part of South America is not heavily populated, shaking was felt in the city of Guayaquil, which is home to 3.5 million people. 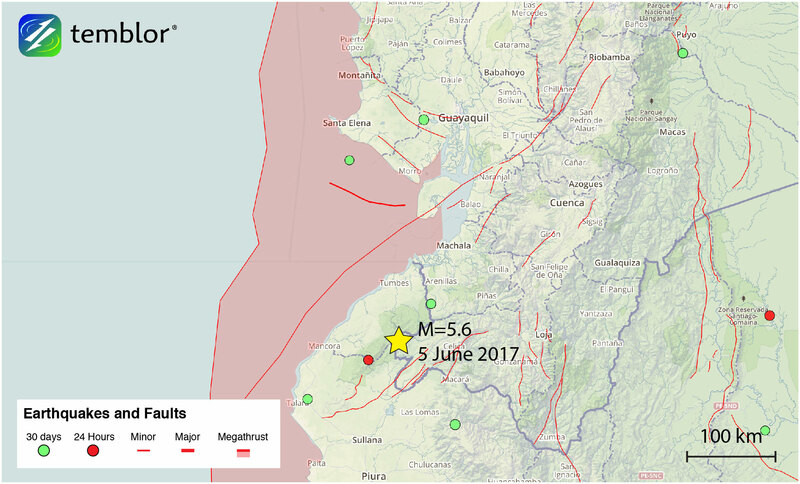 According to the USGS, only light shaking was felt close to the epicenter, while weak shaking was felt in Guayaquil. The USGS also estimates that damage from this quake should remain minimal, and that fatalities are unlikely. 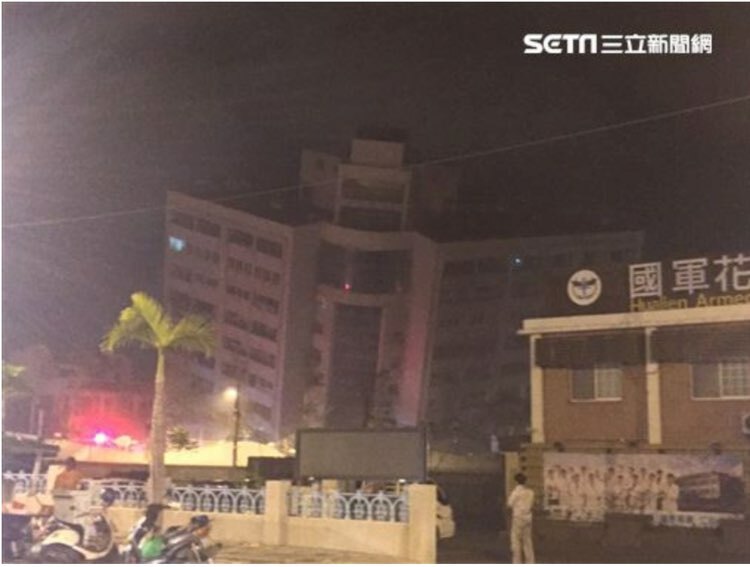 Based on reports coming in from South America, two people are reported to have been injured, and minor damage has been noted. 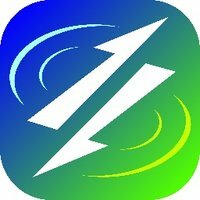 Should more information come in, we will update this post. This Temblor map shows the location of today’s M=5.6 earthquake near the Ecuador-Peru border. Also shown in this figure is the city of Guayaquil, which is Ecuador’s largest city. This city of 3.5 million people experienced weak shaking in the earthquake. Based on the reported depth from both the USGS (52 km) and the EMSC (60 km), and the thrust focal mechanism, this earthquake likely occurred on the subducting slab where the Nazca Plate slides beneath the South American. By examining the Slab 1.0 model from the USGS’ Gavin Hayes (which is also visible in Temblor as ‘Megathrust Zones’), the subducting slab should be between 50 and 60 km depth in the location of today’s earthquake. Therefore, a minor slip event on the subduction zone is the likely cause of the quake. While this was a small earthquake, this location, and nearly the entire western margin of South America is prone to large, damaging earthquakes. The Peru-Chile Trench, which marks where the Nazca Plate begins subducting beneath the South American Plate, lies only 20-60 km offshore. It should also be pointed out that even though western South America is at risk of large earthquakes, the behavior of the subducting slab varies greatly. In much of southern Peru, northern Chile, and southern Chile, the slab dips at angles of 25° to 30°. However, in southern Ecuador, and central Chile, the slab dips at 10° or less. In these areas of “flat-slab” subduction, crustal earthquakes within the overlying South American Plate are common. In fact, in 1970, a M=7.2 earthquake just to the west of today’s quake killed at least 80 people and caused liquefaction. 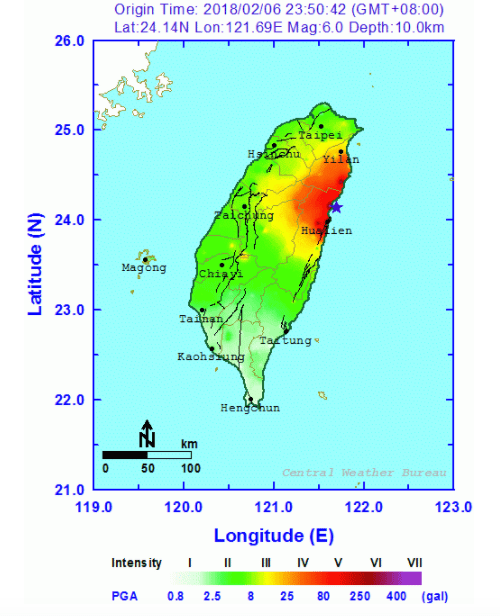 This quake occurred at a depth of 25 km, suggesting it was likely an upper crustal event. This Temblor map shows recent large magnitude subduction zone earthquakes around the location of today’s M=5.6 quake. 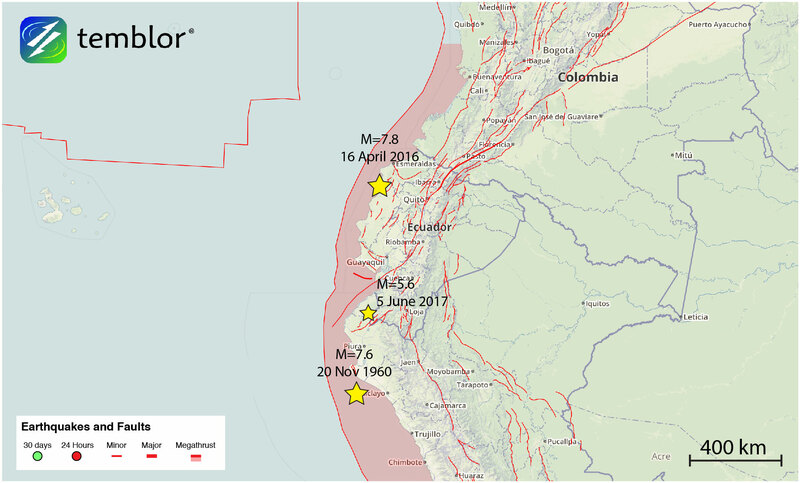 What is evident is that there have been earthquakes several hundred kilometers to the north and south of today’s event, but none in southern Ecuador. This could mean that the area has built up a significant amount of stress, which could be released in a large subduction zone earthquake, or that the geometry of the subduction zone prevents large events from happening. Based on the Global Earthquake Activity Rate (GEAR) model, which is available in Temblor, today’s M=5.6 earthquake should not be considered surprising. This model uses global strain rates and seismicity since 1977 to forecast what the likely earthquake magnitude is in your lifetime anywhere on earth. From the Temblor map below, one can see that around the location of today’s event, a M=6.75+ is likely. 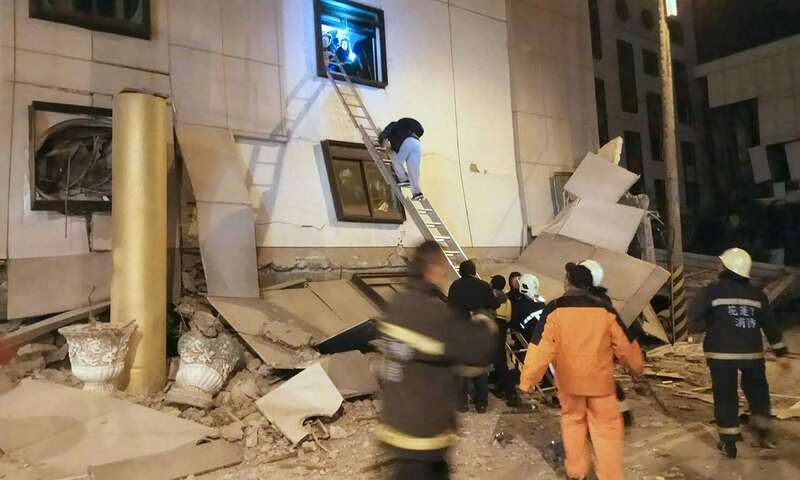 Therefore, while the moderate event today may not have caused damage or loss of life, this region of South America, like the rest of the continent is prone to experiencing large and damaging earthquakes. This Temblor map shows the Global Earthquake Activity Rate (GEAR) model for the area around today’s M=5.6 map. This model uses global strain rates and seismicity since 1977 to forecast the likely earthquake magnitude in your lifetime anywhere on earth. 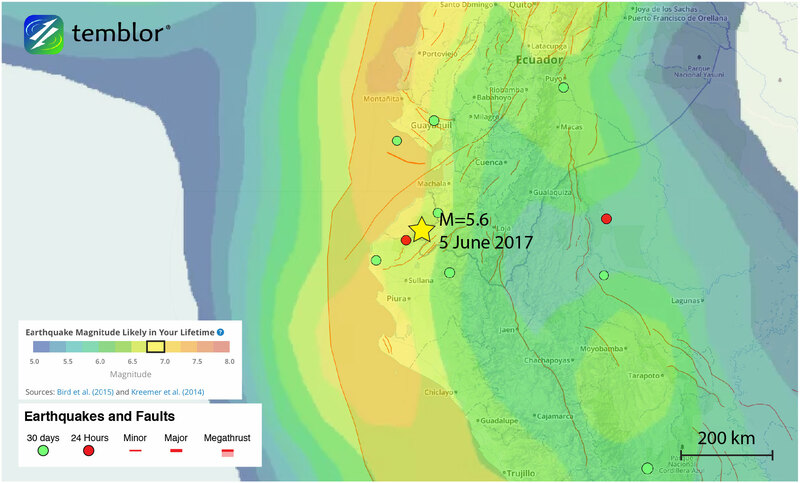 What this figure shows is that in the location of today’s earthquake, a M=6.75+ is likely. Therefore, today’s quake should not be considered surprising. The number of manmade, or “induced,” earthquakes in Oklahoma has risen dramatically since 2009, due largely to wastewater amassed during oil and gas recovery operations being injected deep underground into seismically active areas. But new state regulations that call for reductions in wastewater injection should significantly decrease the rate of induced earthquakes in Oklahoma in the coming years, Stanford scientists say in an article in Science Advances. 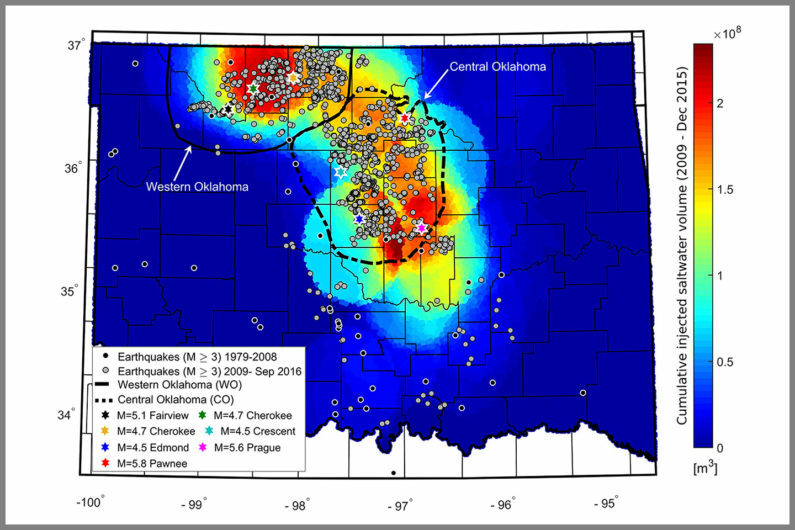 “Over the past few years, Oklahoma tried a number of measures aimed at reducing the rising number of induced quakes in the state, but none of those actions were effective,” said Mark Zoback, the Benjamin M. Page Professor at Stanford’s School of Earth, Energy & Environmental Sciences. While wastewater produced during oil and gas drilling has been disposed of by underground injection in this area for many decades, induced seismicity was not a problem until the volumes being injected were massively increased, beginning around 2009. In the past six years, billions of barrels of wastewater were injected into the Arbuckle formation, a highly permeable rock unit sitting directly atop billion-year-old rocks containing numerous faults. Research by Zoback and his graduate student Rall Walsh published last year established the correlation in space and time between the areas where the massive injection was occurring and the induced earthquakes. The pair showed how pressure buildup resulting from the wastewater injection can spread over large areas and trigger earthquakes tens of miles from the injection wells. In light of these findings, the state’s public utilities commission – the Oklahoma Corporation Commission – last spring called for a 40 percent reduction in the volume of wastewater being injected. The bulk of that wastewater comes from oil production in several water-bearing rock formations that had not been extensively drilled until a few years ago. A new physics-based statistical model developed by Stanford postdoctoral fellow Cornelius Langenbruch and Zoback, detailed online this week in the journal Science Advances, predicts that the continued reduction of injected wastewater will lead to a significant decline in the rate of widely felt earthquakes – defined as quakes measuring magnitude 3.0 or above – and a return to the historic background level in about five years. When the volume of wastewater injection peaked in 2015, Oklahoma was experiencing two or more magnitude 3.0 earthquakes per day. Before 2009, when wastewater injection really started ramping up, the rate was about one per year. Unfortunately, even though the rate of induced quakes will continue declining, the probability of potentially damaging earthquakes like the magnitude 5.8 earthquake that struck the town of Pawnee in September — the largest recorded earthquake to strike Oklahoma — will remain elevated for a number of years, the Stanford scientists say. Mark Zoback is also a senior fellow at Stanford’s Precourt Institute for Energy, an affiliate of the Stanford Woods Institute for the Environment, and the director of the Stanford Natural Gas Initiative. 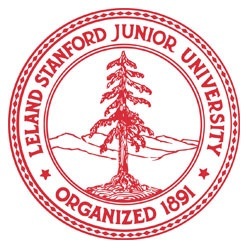 Funding for this study was provided by the Stanford Center for Induced and Triggered Seismicity. As deep rock shuffles around, an area’s gravitational pull changes too. Detecting these blips could provide precious minutes when it comes to tsunami warnings. Earthquakes can shuffle around huge chunks of the deep Earth. But picking up these signs by measuring the associated transient gravity change might help provide early warnings, new research shows. 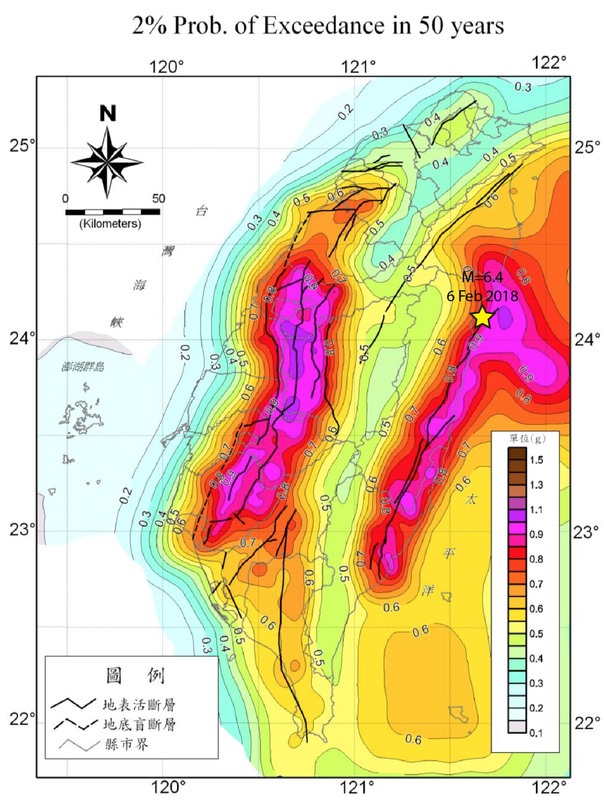 Jean-Paul Montagner from the Paris Institute of Earth Physics in France and colleagues examined data collected during the devastating 2011 Tohoku-Oki earthquake off the coast of Japan, and detected a distinct gravity signal that arose before the arrival of the seismic waves. They published their work in Nature Communications. And while the technology to employ their system is not yet set up, they say the technique may herald new developments in early warning systems for earthquake hazards such as tsunamis. Earthquakes are notoriously hard to predict. When a fault line ruptures, seismic waves travel through and around the Earth and these are usually the first sign that at earthquake has hit. And even though these waves travel quickly – the fastest, P-wave or primary waves, can barrel through the Earth at 13 kilometres per second – they still mean precious seconds or minutes before the waves arrive at a seismic station. Montagner and his crew thought there could be a way to detect an earthquake before the waves appeared. Seismologists have known for more than a decade that there are static gravity changes following a rupture. This happens because as a fault line moves around, mass is redistributed below the surface. This means some areas suddenly become less dense while others pack on mass – and so their gravitational pull changes too. Such changes are measured with gravimeters. The problem is there’s background noise when it comes to gravity changes – the dynamic Earth constantly shifts and wriggles. Could the sudden gravity signal associated with an earthquake be teased out from the underlying noise? 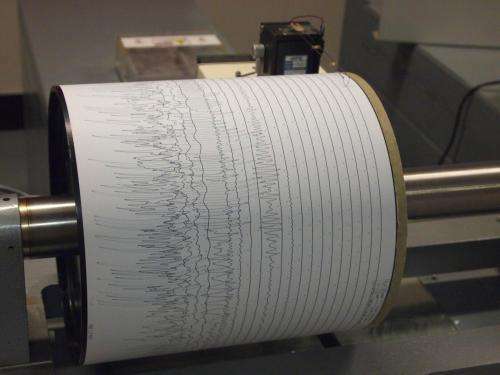 To find out, the researchers needed to examine a large earthquake that happened close enough to a sensitive gravimeter, so small changes in the gravity field could be picked up, but far enough away so the P-waves didn’t immediately reach seismic sensors. They found an ideal example in the 11 March Tohoku-Oki earthquake that led to the Fukushima Nuclear Power Plant disaster. Some 500 kilometres from the earthquake’s epicentre was a gravimeter at the Kamioka Observatory. The observatory was surrounded by five seismic stations. P-waves from the earthquake took around 65 seconds to reach the stations. Montagner and his colleagues first “calibrated” their statistical technique with 60 days of background gravity measurements – from 1 March 2011 to 5.46am on 11 March (21 seconds before the earthquake rumbled), then from 12 March to 30 April. They compared this background with measurements taken during the earthquake and shortly thereafter, and found a distinct blip at the time of the earthquake. It was small, but strong enough to be distinguished from the background with 99% confidence. So can this prediction technique be implemented today? Unfortunately not – it would require building a substantial network of exceptionally sensitive gravimeters which don’t yet exist. But, the researchers write, they could have the potential to let seismologists estimate earthquake magnitude quickly – a process that currently takes up to several minutes. You, too, can help with earthquake knowledge and research. Since reports hit last year that a potentially massive earthquake could destroy vast tracts of the west coast of the United States, my phone has rung regularly with concerned family members from the Pacific coast asking one question: how big could it possibly be? In the San Francisco Bay Area, new findings now show a connection between two fault lines that could result in a major earthquake clocking in at magnitude 7.4. At that magnitude, it would radiate five times more energy than the 1989 Loma Prieta earthquake that killed dozens, injured thousands, and cost billions of dollars in direct damage. 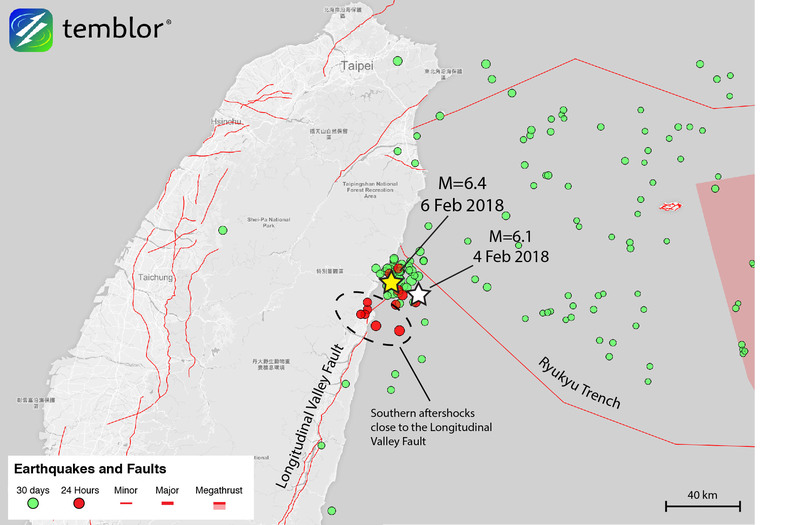 .“The concerning thing with the Hayward and Rodgers Creek faults is that they’ve accumulated enough stress to be released in a major earthquake. They’re, in a sense, primed,” says Janet Watt, a geophysicist at the US Geological Survey who led the study. The Hayward fault’s average time between quakes is 140 years, and the last one was 148 years ago. “In the next 30 years, there’s a 33 per cent chance of a magnitude 6.7 or greater,” she says. 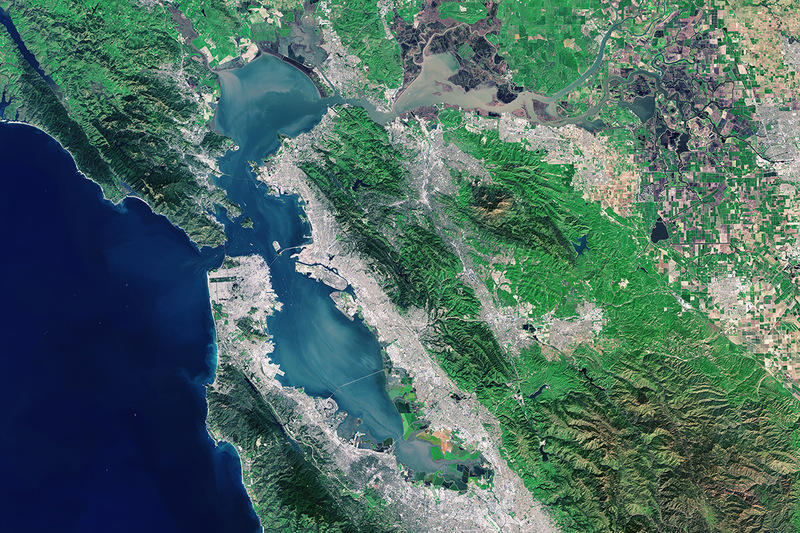 These two faults combined cover 190 kilometres running parallel to their famous neighbour, the San Andreas fault, from Santa Rosa in the north down through San Pablo Bay and south right under Berkeley stadium. To map the faults, Watt and her team scanned back and forth across the bay for magnetic anomalies that crop up near fault lines. They also swept the bay with a high-frequency acoustic instrument called a chirp to image the faults’ relationship below the sea floor using radar and sonar, in a similar way to how a bat uses echolocation to “see” the shape of a cave. 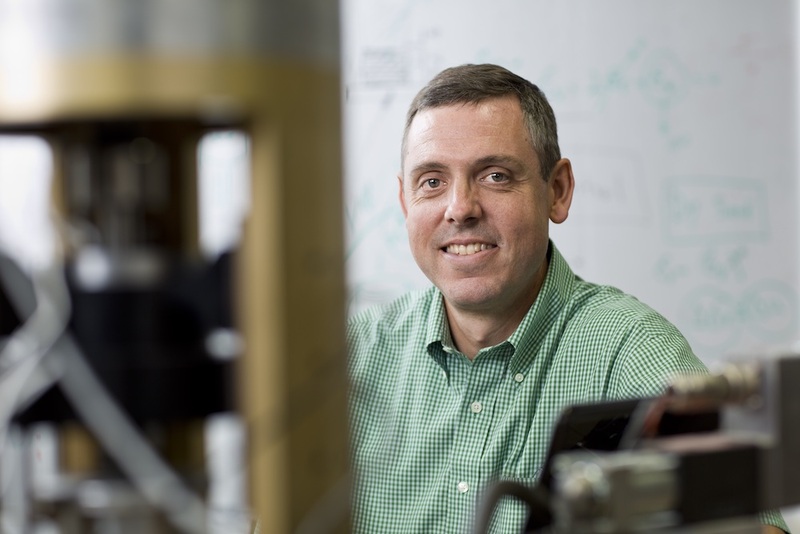 “A direct connection makes it easier for a larger earthquake to occur that ruptures both faults,” says Roland Bürgmann at the University of California, Berkeley, who studies faults in the area. The Hayward and Rodgers Creek faults [Science Advances] combined could produce an earthquake releasing five times more energy than the Hayward fault alone. But it makes the scenario of the larger, linked quake more likely, he says. Bürgmann and his colleagues have found a similar connection between the southern end of the Hayward fault and the Calaveras fault, suggesting that they ought to be treated as one continuous fault. This new work follows that fault even farther north. So what do I tell my mom next time she calls? “Most important continues to be improving preparedness at all levels,” says Bürgmann. That includes better construction, personal readiness supplies, and the implementation of earthquake early warning systems, which include sensors triggered by the first signs of a quake and send out alerts ahead of the most violent shaking. The state and federal governments support building such a warning system in California, an effort led by Berkeley’s Seismological Laboratory. Scientists in California have found that earthquakes can occur much deeper below the Earth’s surface than originally believed, a discovery that alters their understanding of seismic behavior and potential risks. Seismologists have long believed that earthquakes occur less than 12 to 15 miles underground. But the new research found evidence of quakes deeper than 15 miles, below the Earth’s crust and in the mantle. Three scientists at the California Institute of Technology in Pasadena studied data from state-of-the-art sensors installed in Long Beach atop the Newport-Inglewood fault, one of the most dangerous in the Los Angeles Basin and which caused the magnitude 6.4 Long Beach earthquake of 1933. After analyzing the data collected over six months by 5,000 sensors, scientists found quakes were occurring deep into the upper mantle, an area where the rock is so hot that it is no longer brittle like it is at the surface, but creeps, moving around like an extremely hard honey. It appeared that the Newport-Inglewood fault extended even into the mantle – past the uppermost layer of the Earth, the crust, where earthquakes long have been observed. Until now, researchers didn’t think earthquakes were possible there, said Caltech seismology professor Jean Paul Ampuero, one of three authors of the study, published Thursday in the journal Science. Ampuero said the research raised the possibility that the Newport-Inglewood and others, like the San Andreas, could see even more powerful earthquakes than expected. The earthquakes he and his colleagues studied were so deep that they were not felt at the surface by conventional seismic sensors. The new study [Science] indicates that a quake much closer to the surface could travel much deeper into the Earth, producing a stronger, more damaging, rupture than previously believed was possible. It’s an idea that was first raised in 2012, also by Ampuero and several colleagues in the journal Science, when a magnitude 8.6 earthquake struck the Indian Ocean. That was the largest quake of its kind “that has ever happened,” Ampuero said. It happened on a fault known as a “strike-slip,” the same kind of fault as Newport-Inglewood and California’s mighty San Andreas, the state’s longest fault. So answering the question of how an 8.6 earthquake occurred required a new explanation – that perhaps the quake centered on a fault that not only ruptured the crust, but went deeper into the mantle. If deep earthquakes can occur on the Newport-Inglewood fault, then it’s possible Southern Californians could see earthquakes along this fault at an even greater magnitude than what is projected. According to Caltech, the probable magnitude of a large quake on the Newport-Inglewood fault ranges from 6.0 to 7.4. But there’s a lot more study that needs to be done. 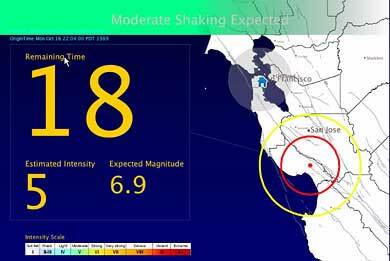 The deep quakes Caltech scientists detected were only microquakes – topping out at about a magnitude 2. Therefore, one alternate – and more comforting – possibility is that these deep earthquakes remain small and don’t help a large earthquake become stronger. With this theory, earthquakes in this deep zone occur in small pockets far away from each other and don’t link in a way that forces a big earthquake to get stronger. Another thing to consider: The deep earthquakes were found in a 9-square-mile area underneath Long Beach, recorded over six months. When researchers looked farther northwest – over a shorter time period, only four weeks – they did not find deep earthquakes there. So it’s possible that deep earthquakes don’t exist everywhere on the Newport-Inglewood fault. But it’s also possible that scientists didn’t record any, and could catch some if they continue monitoring the area for a longer period. There’s a possibility that Long Beach is simply peculiar, and what’s found there isn’t found elsewhere. In Long Beach, scientists found evidence that there are some liquids flowing from the mantle up to the surface – an observation that was not found in another location on the Newport-Inglewood fault. The scientists obtained the data from a group who installed sensors to better understand the oil fields of the area. Once they collected it, the scientists had to design a program to process the massive amounts of data collected to understand what was going on miles underground, and invisible to conventional seismic sensing equipment. In addition to Ampuero, the other authors of the study are Asaf Inbal and Robert Clayton. Phys.org™ (formerly Physorg.com) is a leading web-based science, research and technology news service which covers a full range of topics. These include physics, earth science, medicine, nanotechnology, electronics, space, biology, chemistry, computer sciences, engineering, mathematics and other sciences and technologies. Launched in 2004, Phys.org’s readership has grown steadily to include 1.75 million scientists, researchers, and engineers every month. Phys.org publishes approximately 100 quality articles every day, offering some of the most comprehensive coverage of sci-tech developments world-wide. Quancast 2009 includes Phys.org in its list of the Global Top 2,000 Websites. Phys.org community members enjoy access to many personalized features such as social networking, a personal home page. With no signs earthquakes will stop rumbling in the state anytime soon, Oklahoma museums and schools are being targeted to participate in a nationwide citizen science project that tracks — or catches — seismic activity to learn more about quakes and also promote earthquake safety. About a month ago, the Tulsa Geoscience Center, located at 600 S. Main St., received a sensor from The Quake-Catcher Network. It is the first one in the Tulsa area, the center’s administrative director Broc Randall said. Including that sensor, the Tulsa area now has three: two in Tulsa and one in Broken Arrow, according to the network’s sensor map. A handful of sensors are scattered through the Oklahoma City area. There’s one each in Stillwater and Seminole. The detector is a small box that connects to a computer through a USB drive and measures the motion of the ground from every dimension. “So up and down, side to side and forward and back,” the network’s program manager Robert de Groot said. 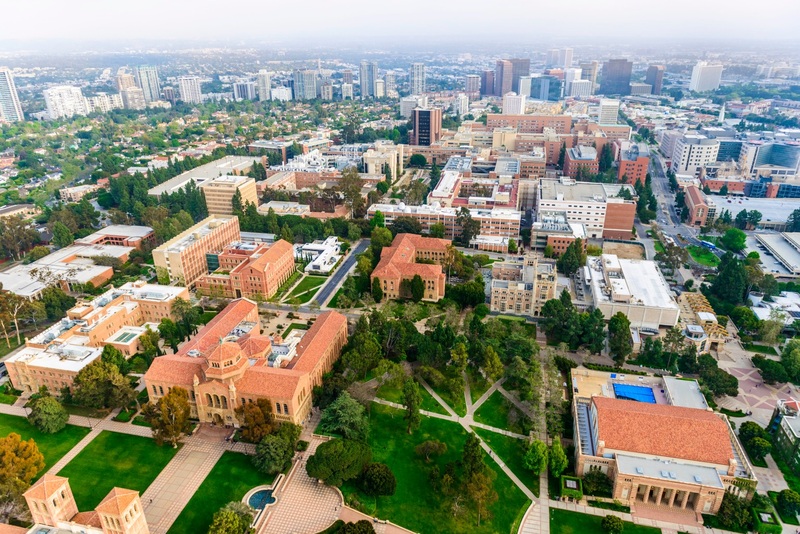 The sensors detect that motion and can gauge whether or not an earthquake occurred and its magnitude, and all that data is sent to the network, which is based at the University of Southern California, de Groot said. Though de Groot did contend earthquakes can occur pretty much everywhere, because of limited resources, the Quake-Catcher Network primarily targets states known for seismic activity, such as California (where the network is based), Oregon, Washington, North Dakota and Oklahoma. Those with the network hope schools will use the data to teach students about earthquakes — a phenomenon many have felt in real life. “It’s not something that’s contrived. It’s actually something that’s happened. It happened in your own front yard in Oklahoma,” de Groot said. On Sept. 3, the largest earthquake ever recorded in Oklahoma — a 5.8 temblor recorded near Pawnee — shook the state. Since then, more than 70 quakes above a 2.5 magnitude have hit Oklahoma, according to United States Geological Society data. The geoscience center in Tulsa also has a separate seismograph specifically to track the movements of its visitors. They encourage children to jump around to see what effect they have on the detector, Randall said. The network’s seismograph, which is taped to the floor, also detects those vibrations, but has been calibrated to recognize that those aren’t earthquakes, Randall said. De Groot said one of the motivations for teaching people about earthquakes and getting them involved in that education is to promote earthquake safety so people know how to protect themselves and their belongings from temblors. It also gives them a sense of what’s going on around them. “Oklahoma is earthquake country. So understanding what earthquake country is doing is a key thing for everybody,” de Groot said. The chair of the UCLA civil and environmental engineering department is leading a U.S. team traveling to Italy this weekend to work with Italian scientists on research into the destructive earthquakes that hit in August. 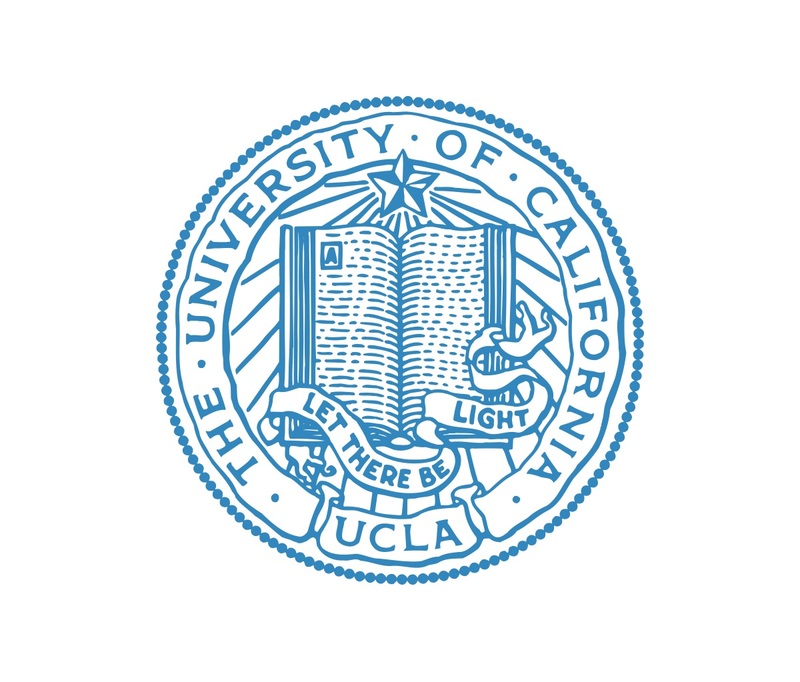 Jonathan P. Stewart, professor in the UCLA Henry Samueli School of Engineering and Applied Science, leaves Saturday for central Italy to lead the research team from the Geotechnical Extreme Events Reconnaissance Association. The team will investigate geotechnical and geological aspects of the earthquake sequence that occurred between August 24 and August 29. The team will work in close collaboration with Italian engineers and scientists, some of whom have already deployed to the affected region and are collecting perishable data. After the field investigation is complete, observations and findings will be posted on the GEER website. Stewart answered some questions before traveling to Italy with the team. What will the team be looking for, and why is it important to go now, as opposed to a month from now? Earthquake engineering as a profession is driven by post-event observations of how the earth and structures respond to earthquakes. We seek perishable data, which means the information would disappear over time due to recovery, clean up, and weathering. One example of what we will look for is the rupture of the ground surface from the faulting. Data of this sort help to guide engineering models for how much displacement to expect from future earthquakes, and the distribution around faults. Obviously, the massive structural damage [in Italy] is another notable feature of this event. We will attempt to learn about the levels of ground shaking that do and do not cause these tragic collapses, so as to better understand the vulnerability of masonry structures in future earthquakes. These structures are abundant in Italy, but occur in some portions of California as well. What will that field data be used for? For example, what have past GEER teams found from previous destructive earthquakes? And, what kinds of instruments will be used? We will look for evidence of ground failure, which is permanent displacement of the ground caused by the earthquake. Examples that we expect to find in this event include landslides, surface fault rupture, and settlement of artificial fill soils. 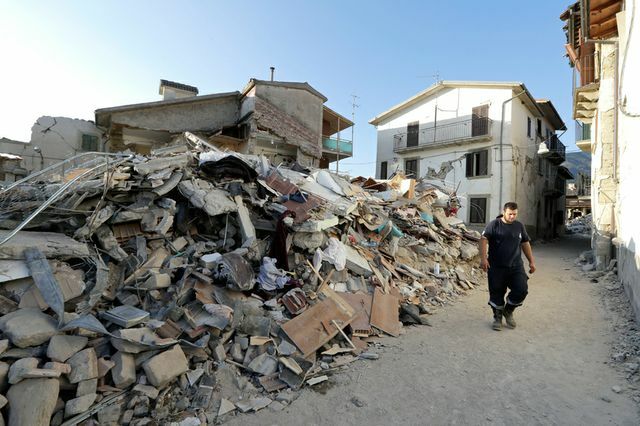 We have seen effects of this type in past earthquakes too, although many of those events have also produced soil liquefaction, which we do not expect to see in this area of Italy. We will map patterns of damage to building structures, and also record the performance of other structures such as dams and bridges. Ground motion accelerographs – these were actually deployed prior to the earthquake. We will retrieve the data through Italian collaborators, and study the patterns of ground shaking and what they reveal about earthquake hazards in a normal fault environment. Lidar (surveying technology that uses lasers) to map ground deformations. Further information on Lidar. Unmanned aerial vehicles to image sites from above, and as a platform for Lidar. Most of the worst hit areas seemed to be in towns with many buildings that are hundreds of years old. How would any data collected be applied to the U.S.? Most of the affected structures in these towns are unreinforced masonry. While these structures are older than those we find in California, in some cases similar structural typologies are found here as well. It is important to understand levels of ground shaking that do and do not cause collapse, and to study the effectiveness of different retrofit strategies. My team is not focused specifically on these structural engineering aspects, although we will be working in collaboration with others who will look at these issues. Is there an area of the U.S. with similar faults to the one that caused this quake? The central Italy earthquake involved normal faulting, which is a slip type that accommodates crustal extension. Much of the western US has similar faults, especially from the eastern Sierra to Colorado. The ground motion information from this and other earthquakes in Italy help us to better understand what we can expect from future earthquakes in these parts of the U.S.
EARTHQUAKES CAN BE A PROBLEM IN MANY PLACES IN THE WORLD. HERE IS HOW YOU CAN PARTICIPATE IN EARTHQUAKE SENSING. Schematic summary of research findings showing the sequence of slip behavior. The findings could have significant implications for earthquake hazard models, and also for planning earthquake response. If geological information can give a guide to the likely extent of future earthquakes, better forecasts of earthquake damage will be possible. And if areas likely to experience afterslip can be identified in advance, it can be taken into account when building or repairing infrastructure that crosses those faults. The findings on the South Napa earthquake were recently published in paper, Spatial variations in fault friction related to lithology from rupture and afterslip of the 2014 South Napa, California, earthquake, in the journal Geophysical Research Letters. In addition to Funning, authors of the paper are: Floyd, Richard J. Walters, John R. Elliott, Jerry L. Svarc, Jessica R. Murray, Andy J. Hooper, Yngvar Larsen, Petar Marinkovic, Roland Bürgmann, Ingrid A. Johanson and Tim J. Wright.